If you are like me and want to start adding items to the Christmas gift list, below are some beautiful and unique cosmetic products from Mirabella Beauty that will steal your heart. This eyeshadow palette is definitely a piece of art, isn't it? Beautiful and a very feminine design. This palette includes silver, gray and aquamarine tones. This revolutionary shadow texture combines silky liquid and soft powder for flawless blendable wear and rich, vibrant colors. The feather soft formula literally glides on and feels amazing! They say you can apply them without a primer. I was at first a little bit skeptical about that, but it is true, you don't need any primer with them. All the 5 multi-dimensional colors in this palette are super pigmented and true color. These shades will give you an iridescent/frosty glam finish but not glittery. I received this in the shade Wanted which is a berry/hue color, perfect for everyday wear. The creamy texture and smooth finish provides just enough shine without leaving a wet/glossy look. It never dries out my lips. It has a very moisturizing and hydrating formula. It comes in a twist up container making it very easy to use. The color is intense and pigmented. I will say that it lasts about 4 to 5 hours. I reapply it once or twice a day depending on how many times I drink or eat throughout the day. It has a light/pleasant sweet scent. I think this color flatters every complexion and it will give you a boost and just make you look more alive. This is a khol waterproof liner that has a very creamy texture, glides on very easily, and it is perfectly safe to use on the waterline since it is talc and parabe free. This is a very black and highly pigmented crayon. It works perfect as a eye liner but I recommend you to use a liner brush for an easy and precise application. This liner gives that final touch of intensity to your eyes or it will compliment that smokey eye look. A couple of seconds after the application it dries up to a matte finish. 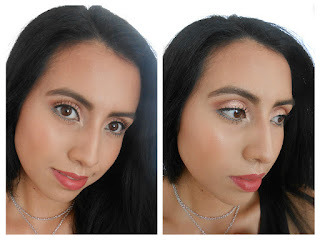 I created the look below using the pink/pearl shade from the eyeshadow palette on my eyelid (I just dab the product with my fingers until I got the desired intensity). Then I mixed the white and silver shades on my lower lash line to add a little pop of color. I used the white/metallic shade to highlight the inner corner of my eyes, and I applied a thin line of the Blackmail eye crayon across my upper lash line to define and give more intensity to my eyes. For the lips I am wearing the wanted velvet lip pencil. Which one of these products are you more excited to try out? Thank you so much for reading. Your eyes look so pretty with those colors, I added the eyeshadow palette to my wish list. What foundation are you using here, your skin looks so flawless? I love the aquamarine. What a gorgeous colour. Your eyes look absolutely incredible! Fabulous make-up! I want to add these all to my list. I like the design of the eye shadow, that's really quirky! These colors are gorgeous! I like how you show them all so that people are get a feel of what they will look like on. Thanks for the awesome review! I love the choice of colours, what a lovely range! Lovely products here. I love the lip pencil especially, great colour. Wow such a pretty set. I love that aquamarine colour - gorgeous. I really like the velvet lip pencil. It looks beautiful. I think I will be adding that lip pencil to to Christmas list. I love the colour. Thanks so much for the nice words Dianna! We at Mirabella appreciate your feedback! I love the colors on those swatches. You could really get some nice Fall looks going with that palette. Love this whole collection! It;s all so pretty. The makeup is sooo pretty in the package, I would hate to ruin it! I have never been good at makeup. You did an amazing job! I have been loving lip pencils lately and that Wanted lip pencil looks perfect for fall!! Great post!! 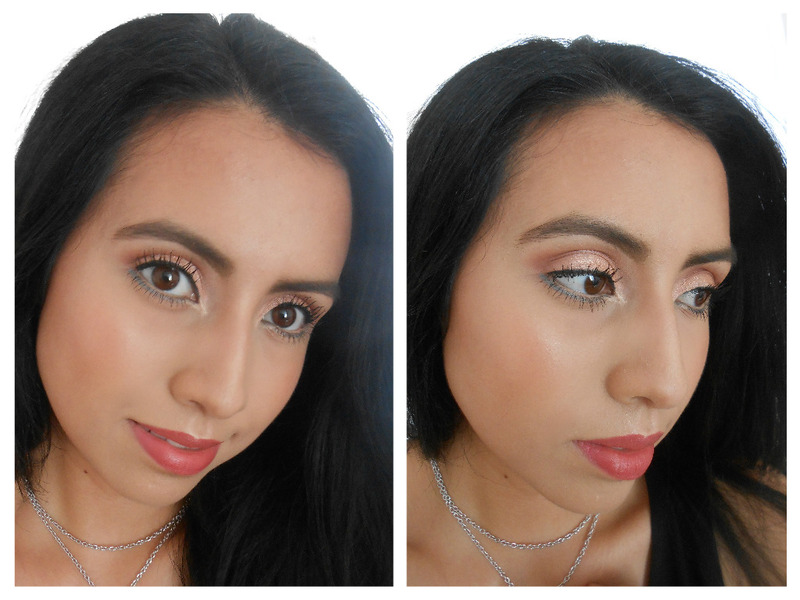 That eye shadow palette is so pretty, and I love the lip pencil! I love the look of the velvet lip pencil how much is it and can I purchase it online? I love the look of the lip pencil! Its so smooth looking and the color is just amazing! Love those eye shadow shades! The teal and the deeper grey are right up my ally! And lip pencils are my FAVORITE! The lopstick looks gorgeous on you. Diamond Deceit is such a catchy name. I want that velvet lip pencil. I love red and it's always my choice of color when it comes to lipstick. These are great colors for fall. I love the lip color. I will have to pick this up to try with my Daughter. I know she will love it to. Omg loving the makeup!!! I'm a total makeup junkie! These shades are just so perfect for fall! I am in need of some new make up in some new shades! This makeup looks like so much fun! That lip color is so pretty. I need to try a new eyeliner... maybe a liquid one to play with a cat eye. You always have new brands to show us; I love that. Love the final look and I really like the lip colour. I'm not familiar with this make-up line, but I'll have to check them out sometime. Those colors are so pretty and flattering! I do like the colors. That lipstick shade is perfect for you! I've never heard of Mirabella before but I've just fallen in love with the lip pencil. I want it! I have never heard of this company before but I love the colors. The red lips are just amazing! I am gonna look into them because those colors are amazing! I love the lipstick color, it's very pretty. The make up looks great on you. Just not sure if the blue color eye shadow is for me. I am a redhead, so blues don't look that great with me and my brown eyes.